South Carolina is about the same size as Sierra Leone and has a roughly similar geography and climate. There is the "Low Country" which consists of the Sea Islands, the swampy southern coastline, and a wide and fertile arc of coastal plain stretching up to a hundred miles in the interior. Beyond that is the "Upcountry," a region of rolling hills rising gradually to mountains three thousand feet high in the far northwest. Much of the state is humid and semitropical with long, hot summers and mild winters and abundant rainfall reaching seventy inches in some areas. Three-fifths of the state is covered in forest, and a series of rivers flows down in parallel lines to the Atlantic coast. The first English-speaking settlement in South Carolina was established on the coast in 1670. 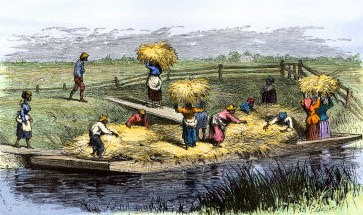 For the first thirty years the colonists had little success, but by about 1700 they discovered that rice, imported from Asia, grew well in the inland valley swamps of the Low Country. Throughout the 1700s the economy of South Carolina was based overwhelmingly on the cultivation of rice. This product brought consistently high prices in England, and the colony prospered and expanded. Rice agriculture has been called "the best opportunity for industrial profit which 18th century America afforded." South Carolina became one of the richest of the North American Colonies; and Charlestown (now Charleston), its capital and principal port, one of the wealthiest and most fashionable cities in early America. Later, because of the extraordinary success in South Carolina, the rice plantation system was extended farther south into coastal Georgia, where it also prospered. The South Carolina planters were, at first, completely ignorant of rice cultivation, and their early experiments with this specialized type of tropical agriculture were mostly failures. They soon recognized the advantage of importing slaves from the traditional rice-growing region of West Africa, and they generally showed far greater interest in the geographical origins of African slaves than did planters in other North American colonies. The South Carolina rice planters were willing to pay higher prices for slaves from the "Rice Coast," the "Windward Coast," the "Gambia," and "Sierra-Leon"; and slave traders in Africa soon learned that South Carolina was an especially profitable market for slaves from those areas. 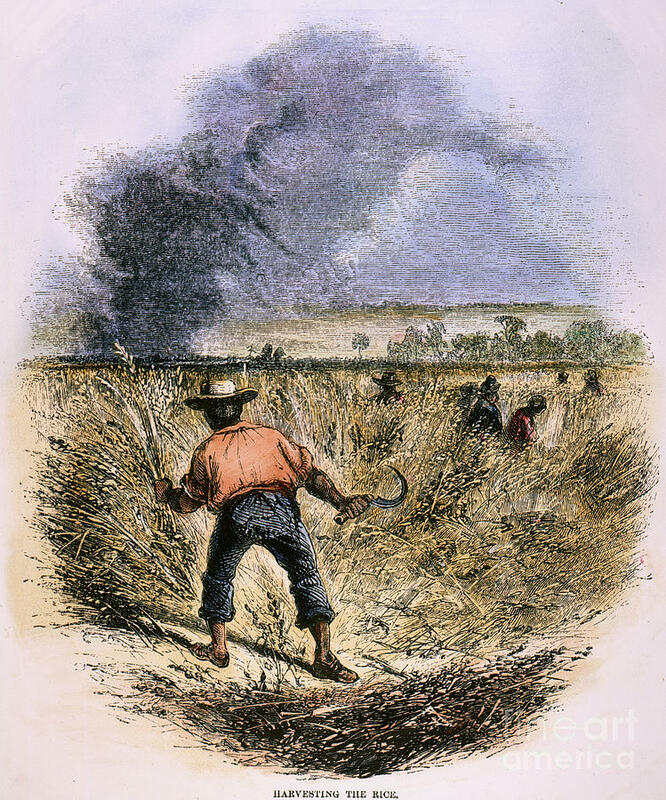 When slave traders arrived in Charleston with slaves from the rice-growing region, they were careful to advertise their origin on auction posters or in newspaper announcements, sometimes noting that the slaves were "accustomed to the planting of rice." Traders who arrived in Charleston with slaves from other parts of Africa where rice was not traditionally grown, such as Nigeria, often found that their slaves fetched lower prices. In some cases, they could sell no slaves at all and had to sail away to another port.